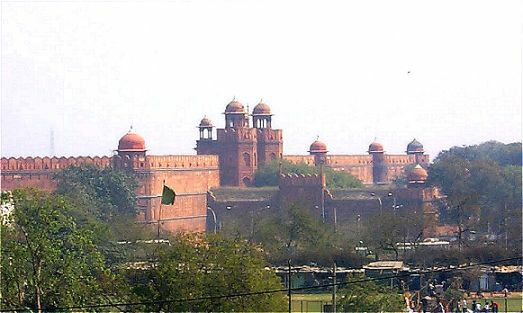 Red Fort was built by Shah Jahan, also known as: Lal Qila, at New Delhi. After transferring his capital to Delhi from Agra in 1638, Shah Jahan commenced the construction of Shahjahanabad on the 16th April 1639, he also laid the foundation of his citadel, Lal-Qila (Lal-Qal'a) or Red Fort. It was completed after nine years on the 16th April 1648. The Red Fort, so called because of the red colour of the stone largely used in it, is octagonal on plan, with two longer sides on the east and west.